Google puts a lot of work into creating a virtual map of the world with Street View, sending cars and backpackers everywhere with huge cameras. But what if a computer program could do all that automatically? Well, there's one that can. All it needs is Wikipedia and Google Images. Then, for the interior of that 3D shell, the program cruises through Wikipedia, making note of every single noun-phrase, since its dumb robot brain can't tell what is important and what is not. Finally, it searches Google Images for its big stack of phrases, pulls the relevant pictures (if it can find any), and plasters them roughly where they belong in the model's interior. When that's all said and done, it can then behave as a procedurally generated 3D tour that guides you through a recreation of whatever you're reading about on Wikipedia. Awesome! It's a crazy idea, but it seems to work pretty well for popular landmarks, at least. The operating logic here is that if a thing is important, there will be pictures of it on the internet, and text describing the pictures. So long as that's true, it's possible to start piecing things together. For the moment, the program has only compiled complete virtual representations of exceedingly popular and well-documented sites like the Sistine Chapel. With less common places, there's less data to pull. But with the advent of tech like Google Glass, and the wide proliferation of smartphones that can take a half-decent picture, the data-voids are slowly getting filled in—and they'll only fill in faster as time goes on. UPDATE: Oculus Rift is not, as reported below, John Carmack's creation. The Id co-founder tweeted last night to confirm that "I have no direct ties with Oculus; I endorse it is a wonderful advance in VR tech, but I'm not "backing it". 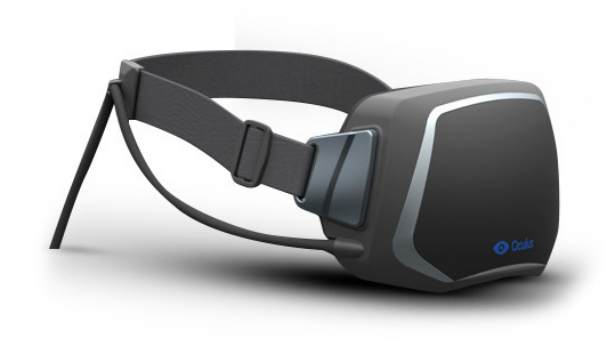 The virtual reality headset John Carmack was showing off at E3 is now on Kickstarter. Named Oculus Rift, it has already raised three times its $250,000 goal since the project went live yesterday. The project pitches Oculus Rift as the first truly functional and affordable VR headset, which "takes 3D gaming to the next level." The headset "is designed to maximise immersion, comfort, and pure, uninhibited fun, at a price everyone can afford." Given Carmack's involvement it's little surprise that the project has, at the time of writing, raised $777,130 from over 3,000 backers. Some of the most respected people in the industry have also thrown their weight behind Oculus Rift, including Gabe Newell, who in a quote on the project page is full of praise for Oculus founder Palmer Luckey. "It looks incredibly exciting," The Valve president says. "If anybody's going to tackle this set of hard problems, we think that Palmer's going to do it. So we'd strongly encourage you to support this Kickstarter." Also on board are Epic Games design director Cliff Bleszinski ("I'm a believer"), Unity Technologies CEO David Helgason ("This will be the coolest way to experience games in the future"), and Michael Abrash, former colleague of Carmack at Id and now one of Valve's more prominent thinkers, who recently revealed the company's work on wearable computing. Oculus Rift will be bundled with a copy of Doom 3 BFG, Id's revamp of its 2004 shooter and the first Rift-compatible game. Kickstarter reward tiers begin at $10, though the serious stuff is reserved for those pledging larger amounts. $275 will net you an unassembled Rift prototype; $300 gets you early access to the developer kit. The SDK is a work in progress, but Oculus plans on integration of Unreal Engine and Unity, opening up a host of possible platforms including PC and mobile. Those paying $5,000 or more – three people have done so already – get all rewards plus a visit to the Oculus lab. One of the three is Markus "Notch" Persson, who tweeted last night to reveal he had pledged $10,000 and that there was a good chance Mojang's games would be supported – and let's be honest, a headset-controlled Minecraft is quite the prospect. It's a remarkable turn of events coming just months after the headset's E3 debut. Carmack admitted the prototype was "literally held together with duct tape" and it certainly didn't seem like it was mere months away from becoming a serious proposition. For more, we recommend PC Gamer's video of John Carmack's VR headset. David Boddington played Doom 3 BFG using the device, and came away resoundingly impressed, describing it as "unlike any other gaming experience I've had". 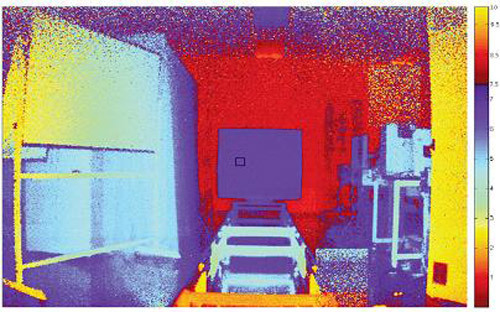 Samsung has developed a new camera sensor technology that offers the ability to simultaneously capture image and depth. The breakthrough could potentially be applied to smartphones and other devices as an alternative method of control where hand gestures could be used to carry out functions without having to touch a screen or other input. According to Tech-On, it uses a CMOS sensor with red, blue and green pixels, combined with an additional z-pixel for capturing depth. The new Samsung sensor can capture images at a resolution of 1,920x720 using its traditional RGB array, while it can also capture a depth image at a resolution of 480x360 with the z-pixel. 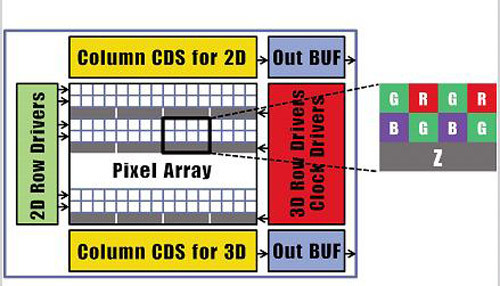 It is able to achieve its depth capabilities by a special process whereby the z-pixel is located beneath the RGB pixel array. Samsung’s boffins then placed a special barrier between the RGB and z pixels allowing the light they capture to give the effect that the z-pixel is three times its actual size. In this early iteration of the new technology, Samsung used FSI technology only. In future applications, BSI could be applied doubling the quantum efficiency of the design further reducing cross-talk to the RGB pixels. What if one of the world's most popular 3D engines, the same one used to power many of the most popular console games in the world, also ran in your web browser? That would be pretty interesting, right? 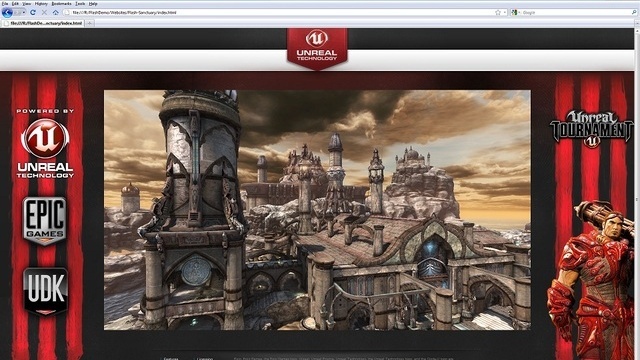 Things just got interesting: Epic Games has announced that their incredibly popular Unreal Engine 3 now works in Adobe Flash, demoing a version of Unreal Tournament 3 running inside the new Adobe Flash Player 11. That means porting existing games to work in a browser-based solution—and there are a ton of games on Unreal Engine 3—would be more or less turnkey. Even better, developers will be able to migrate their games from, say, iOS over to a browser-based environment without much hassle, making it possible to easily sell browser-based games that play the same games as apps on mobile devices. But the real thing that should make you arch an eyebrow is Facebook. Nearly every game you can play on Facebook runs on Flash. And now Flash can run hardware-accelerated 3D, just like Real Games.